Great multi-purpose boat for those of us who can only afford one boat. Suitable for a variety of situations, though probably not the ideal boat for any. I live in a city with lakes, rivers, and creeks, and it's perfect for all of it. 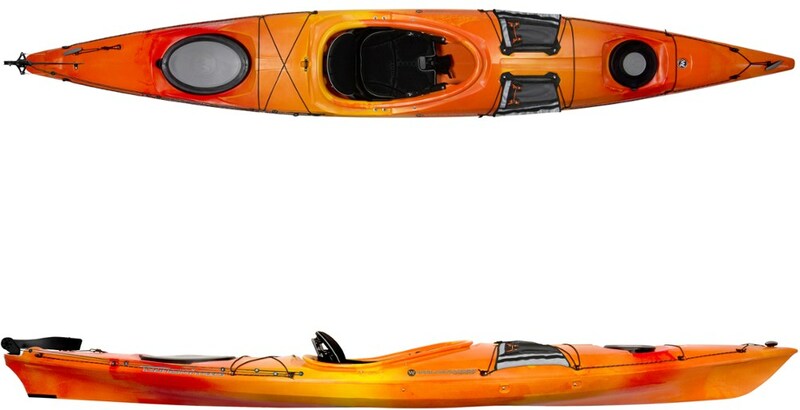 Haven't tried it on whitewater yet, but considering it (will update if/when I do). It's generally very stable, but not the fastest kayak. 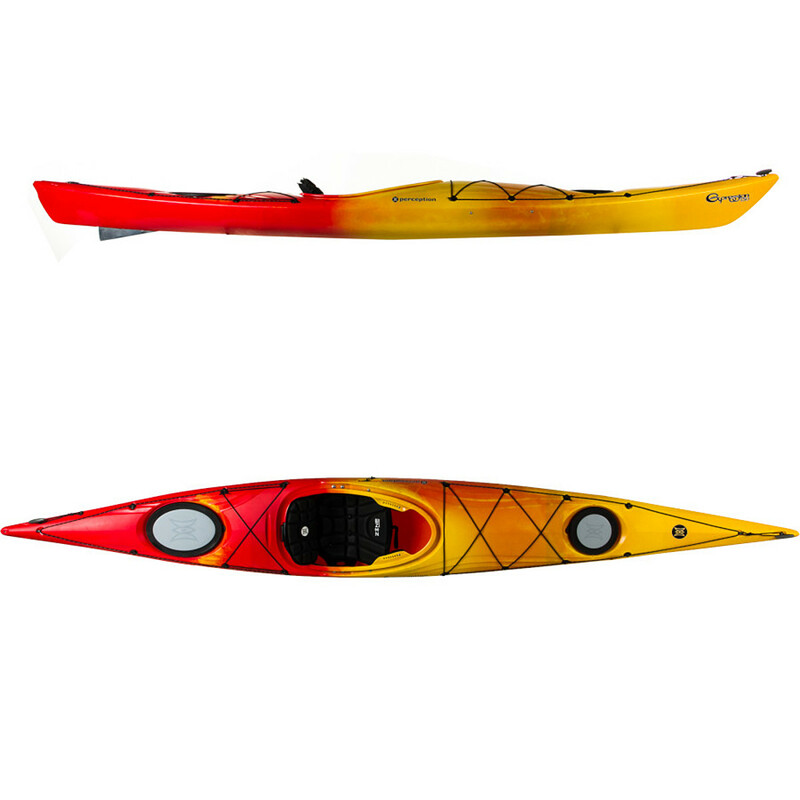 Using the skeg helps you track across big lakes. Cockpit: Super comfortable. I needed one that my wide hips could still bail out of easily in case of capsize. Weight: I only wanted a boat that I could transport on my own. At about 45 lbs, I have no issue picking it up and placing the side of the cockpit on my shoulder to carry at least 1/4 mile to the launch. Turning: It's a short boat, so turning is easy. Straight: There's skeg that can be deployed by a string on the side of the cockpit. When skeg is down, the end of the string often drags in the water. Other than that, I often completely forget it's there. Foot Pedals: Easily adjustable on the go as I find I can't keep my legs in the same position all day. 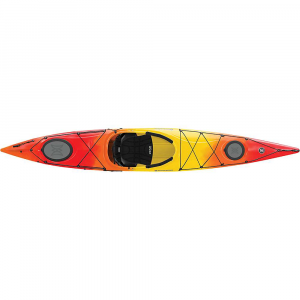 Provide great support for the most efficient paddling. Storage: Waterproof stern storage compartment more than enough for day-tripping, but not enough to fit a traditional tent in. (Luckily I hammock camp - see my Hennessy review). It's difficult to close the compartment, but that's the way with waterproof areas. There's lots of space between your legs though if you don't mind items there. I usually tie a long string to my Nalgenes and throw them between my legs for day trips. Holding up well: Had it for 3 years now, stored outdoors early spring to late fall and in as good condition as the day I bought it. I generally don't encounter rocks, but slide it over sand bars all the time and not at all worse for the wear. Accessories: I bought a cockpit cover to keep the critters out since I store it outside, but it also really helps on gas mileage when transporting. I also have a lasso lock since my kayak is stored in a public park. Apparently you can add a rudder, but that's not my style. Again, a great review. 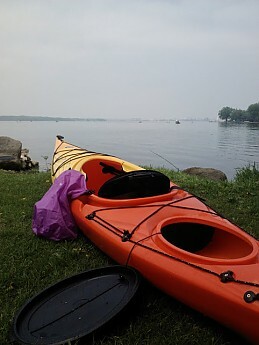 I'm not a kayaker, but I enjoy reading about others' use of them. Great review and pics, Siltloam. 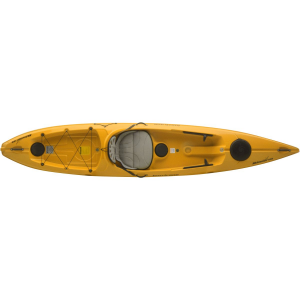 Thanks for the review, I'm trying to choose between a canoe or kayak myself so I appreciate your review. 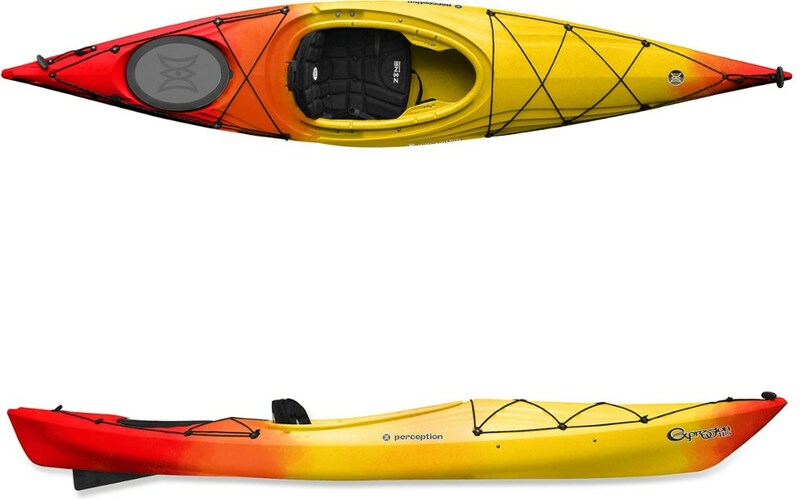 Until this purchase, I had always been a canoeist. Moving for a job has made me slowly transition to being a solo adventurer. 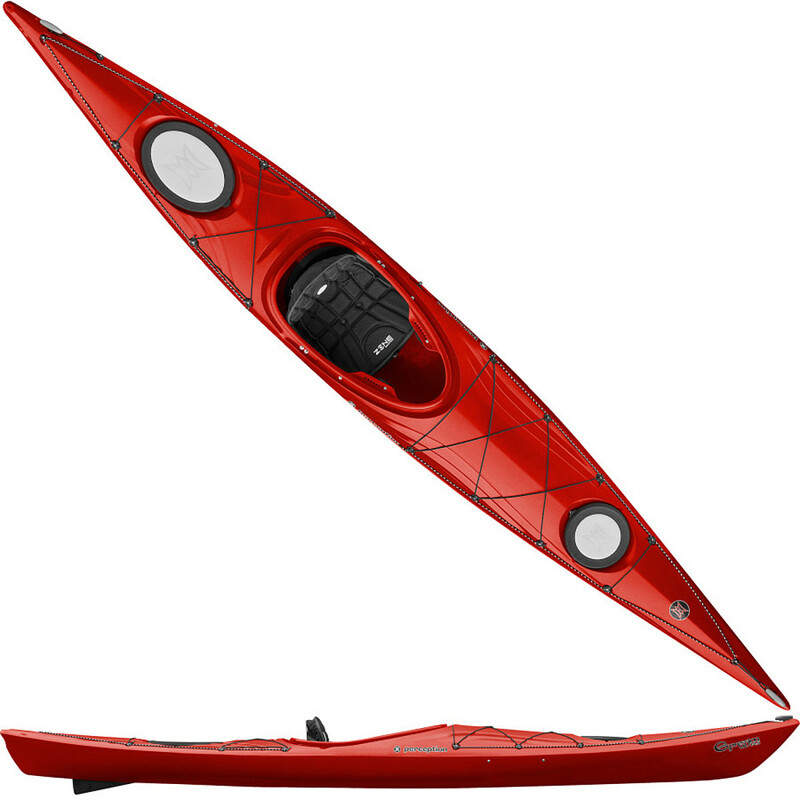 It really does feel stable like a canoe, but you'll never fit as much stuff. 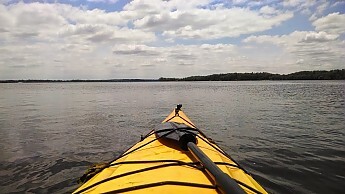 If you're newer to kayaking, I leaned on some videos from Paddling.net to get the paddling down. Thanks for the advice. I hope to make my purchase in the spring.